Content Pages are the informational pages within your site. These pages are used to convey non-product specific information. How do I add Content Pages? 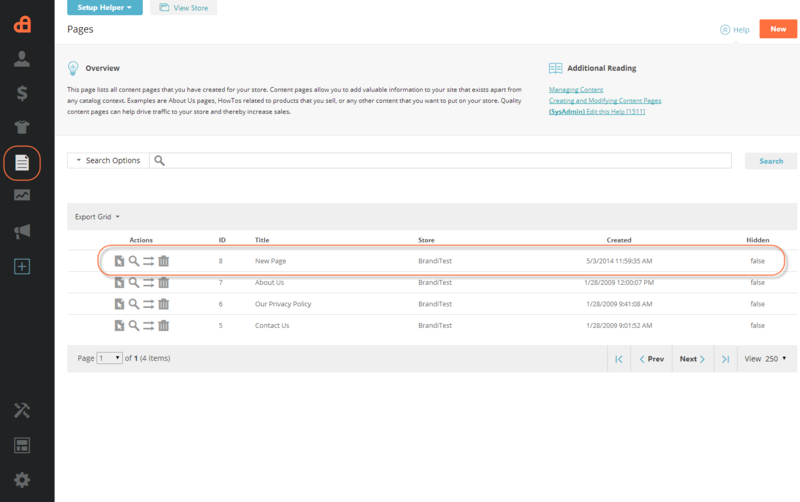 Content Pages are store-specific, in that you add them to each store separately. This makes sure any information intended to be displayed to customers from one store will not inadvertently be displayed to customers on another of your stores, potentially exposing a conflict. To see all Content Pages, click Content > Pages. Here you will see a list of all available Content Pages for this store. Click the New button and add content on the edit page overlay. 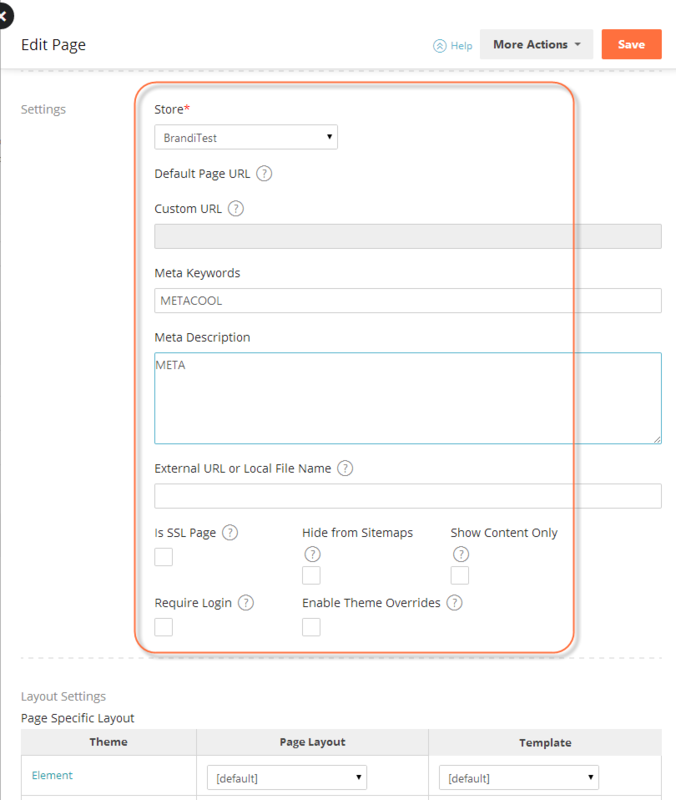 Select your store and add your other settings such as Meta Description, Custom URL's, and Keywords. 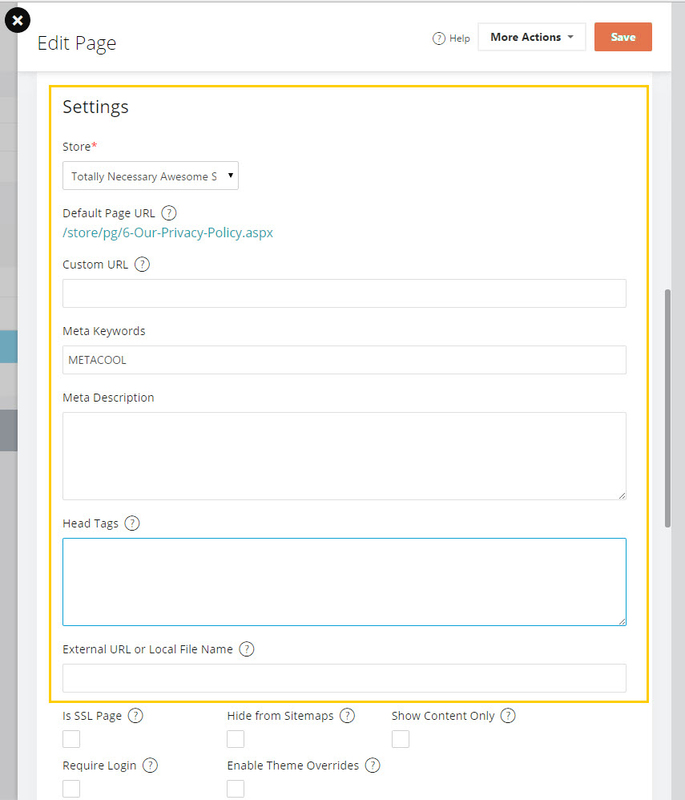 If Custom URL's are grayed out like shown in this image, it means you have not turned on custom URL's in the settings area (Settings > Search Engine > Search Optimization and look for "Custom URLs"). Click Save at the upper right and then you'll return to the grid page and you can edit or delete from the list. Aside from an iframe, is there any way to add a script to the head of a content page? 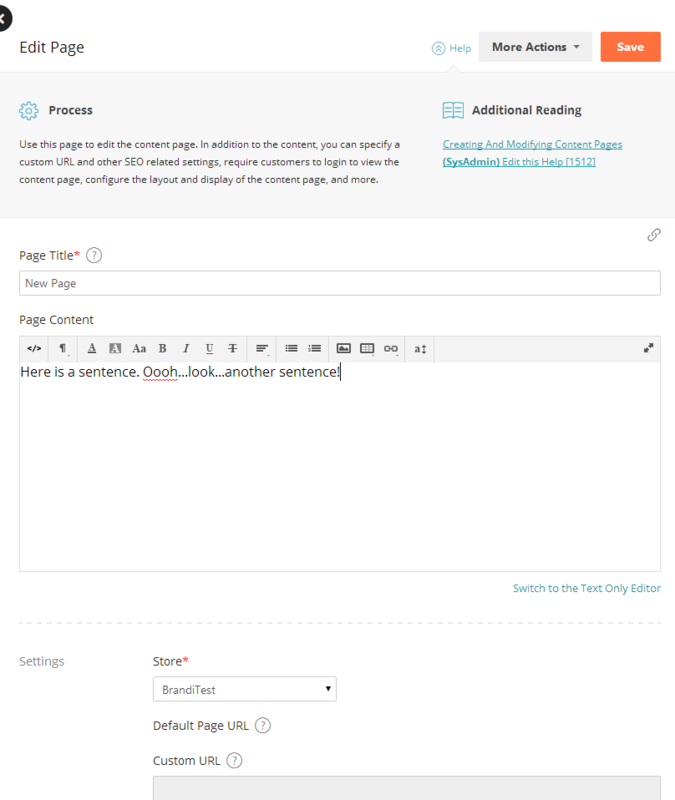 while on the content tab of the content page, click the Switch To HTML Code Mode button. You can then add your script directly to the page. When the button is clicked, it will change to Switch To WYSIWYG Mode. Once you add your script, you can click that button if you would prefer to change back to the visual editor or leave it as is if you prefer to work in HTML Mode. I have been doing this, but there have been a few issues with not having the scripts in the head. What script are you attempting to use? Is there a reason it must be in the head? Google Maps API and Quickbase API. They work fine in an iframe, but not if the script is in the body. I have a custom page with simple HTML but when I save and view the page, the body content it empty. The site templates, headers and sidebars all load, but none of my custom HTML. Even when I view the default About Us page, none of that text shows up. Please advise. Based on what the details you provided, it sounds like this should resolve that. If not, please provide your store url so we can look in to it a bit more.